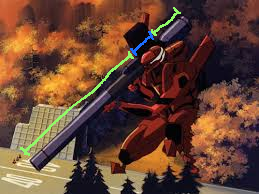 With all the talk about the practically every other aspect of the franchise, I feel like the weapons used by the Evangelions are somewhat underrepresented. So, in the spirit of overanalyzing every pixel, lets see if the weapons are actually any good if a replica of them was used in by humans in the respective era of warfare. -Unit 01 NGE/NTE: there is literally nothing to complain about either design: Its straightforward, doesnt have any ridiculous angles or spikes, and seems to be rather tough. -Unit 02 NGE: The idea of having the blade replacable isnt bad, but given that it is used for combat and is put under great stress, I highly doubt that it will hold. If anything, the replacable parts are probably only necessary for the very reason that they exist in the first place, not even taking into consideration that the blade is vibrating. -Smash Hawk: probably the most well-designed battle axe I have seen in a long time. Nothing more needs to be said. -Ooken/Great Sword/lump of metal: Where do I start with this... no. Just... no. Way too heavy, at least 50% os the weapon - and by that the weight - is completely useless all the time, the handle is a mess and the blade itself is way too massive... I highly doubt you could even lift it, let alone fight with it. -Magorox (alternative version): While I am not entirely sure if the yellow guard would hol up to much abuse, if I had to pick any melee weapon from Eva to fight with, it would most definitely be this one, given that it takes everything that is good about the first version of the Magorox and eliminates the few bad things. -Magorox (FINAL preview): Basically the same as the other Magorox, but the wristguard is WAY too huge. -Counter Sword (Original): Something seriously went wrong when designing this. The handle is obviously meant for two-handed use, but we only ever see it wielded in one hand. On top of that, if you were to actually used it with both hands, given that you obviously cut in this direction, your hand would need to be put something like this, greatly limiting your options of movement. The blade however is very nice. -Counter Sword (alternative version): Blade and handle as individual pieces are very well designed, however I fear that this part would plain snap the first time it hits anything. -Dual Saw: What even is this abomination. Apart from the obviously ridiculous weights and general unwieldyness, the mere concept of having two chainsaws strapped together to create a striking tool is just plain ridiculous. -Double-Bladed Spear: Probably very, very difficult to effectively wield, but I have seen people do it, and if you can pull it off, this thing will be a powerful weapon. -EURO II's sword and spear: Both are nice and nimble, great weapons even if you cant wield both at a time. -Thunder Spear: A knife attached to a nonexistent gun. Completely misses the point of a bayonet, might as well take a regular knife. Next. -Angel Spine (at least I think its called that): To bulky for a ranged weapon, and definitely too bulky for a melee weapon. Next. -A.W. Mastema: It keeps getting worse... how does one even swing this thing? Next. -Whatever this thing is: Probably thge worst offender so far. Way too heavy (even without the rocket propulsion!) and will probably shatter the first time it hits anything or is fired (remember people, no weird spiral structures on weapons. There is a reason they arent on any historical weapons). Next. -Jet Alone Kai's Hammer: To end things on a bright note, this is everything you would expect out of a hammer: Top-heavy, no fancy spikes or anything, and absolutely devastating when it hits. -Pallet Rifle: Generally a good design, the only issue I see are the ways of reloading and maintenance. Or rather I dont see tham, which would pose quite a problem in any real combat situation. -Handgun: Anything modeled after a Deagle is generally a good design. If I had to pick any weapon in a modern-day encounter, it would be this one. -Gatling Gun: Not sure why this thing is there, and the muzzle brakes seem to be not that well thought-through (seeing how they barely stop any air, thereby not really doing their job to reduce the recoil), but other than that a good weapon, even if the ammo drum appears to be a bit small relative to the rate of fire. -Sniper Rifle: Again, basic and overall good design. They really did their homework when it comes to ranged weapons. -Positron Rifle: I shouldnt have said anything. The muzzle looks like a flamethrower, but it lacks fuel tanks, the barrel looks like a sniper rifle, but it lacks a proper scope and and what the hell is that buttstock even supposed to be. Next. 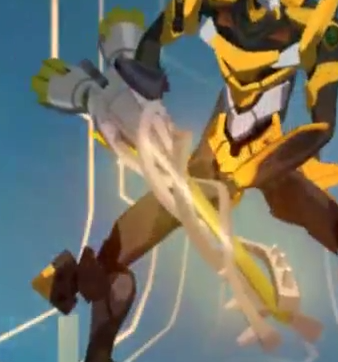 -Positron Sniper Rifle (TV version): Now THIS is a good weapon. Nothing else to say, thats how a non-kinetic sniper rifle should look like. -Positron Sniper Rifle (Rebuild): Why does a sniper rifle need an ammo drum? Let alone a sniper rifle that doesnt even fire proper ammunition? -Electromagnetic Crossbow: The design is not bad, but of what use would it be when you can have sniper rifles? Not even talking about the ridiculous weight this thing would probably have. -Q Sniper Rifle: Apart from the ridiculous size, the double optics and (if the massive muzzle brake and buttstock with an extra grip are anything to go by) the enormous knockback a great design, although it probably is a bit awkward to reload. Last edited by Blockio on Tue Aug 28, 2018 1:00 pm, edited 2 times in total. Wow, that's amazing. 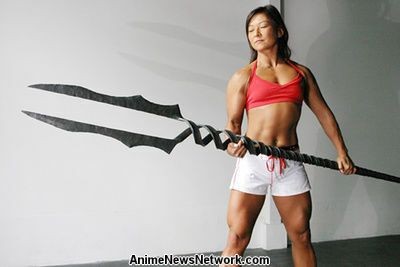 If I may ask, would the Spears of Longinus and Cassius be practical in real life ? 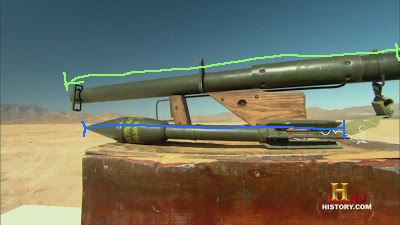 Pretty sure, as well, that NGE features two distinct bazooka types: the huge one from episode 18 (who you commented upon), and the smaller ones that get double-wielded in 19. ZQFMGB wrote: Wow, that's amazing. If I may ask, would the Spears of Longinus and Cassius be practical in real life ? Did... did I really forget those two? 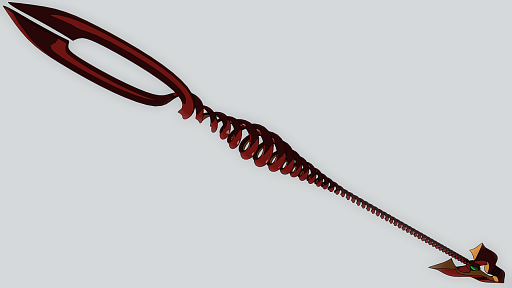 Longinus: Probably somewhat uncomfortable to grip with the twisted handle/shaft and the nonconsistent thickness, but overall a good weapon for both striking and stabbing, with excellent balance for a spear (tip being hollow.ish removes a great deal of weight, on top of some wrist protection). If EoE is anything to go by, the rear end is also pointy enough for stabs. Despite it's questionable would looks probably my go-to in a real fight. Cassius: The tip is FAR too huge compared to the rest of the thing, making it not only ridiculously top-heavy, but also fragile and would probably snap sooner or later, especially with the broad tip and nice edges inviting to use it for striking over stabbing. This also goes for the heat spear seen in Q. Now... on to the special shortcomings of Cassius in particular: The handle. Just... look at it. Even trying to wield this thing bare-handed would tear your hands to shreds, on top of the metal being far too thin, making the overall construction way too flimsy, and the weird DNA-rear end prevents any sort of stabbing or strikes from this side of the spear. Also, exactly why did the ONLY OTHER POINT OF CONTACT between the helixes need to be split? TL;DR: Cassius would fall apart upon picking it up. "-Counter Sword (alternative version): Blade and handle as individual pieces are very well designed, however I fear that this part"
Yeah, those seem to be a bit differently sized, but their functionality/my view on their effectiveness is pretty much the same, overall not bad with possibly a limit in range and explosive force. further down, still on page 1. WTF? Last edited by Blockio on Thu Aug 30, 2018 12:55 pm, edited 1 time in total. Your Cassius link is broken. You seem to be hot-linking to a blog, which could explain why. We try to discourage hot-linking, but if you're going to do it at least preview your post first. Wow, the Spear of Cassius sure looks impractical... where is Mark 06 supposed to hold it ? !